Pam Hillman was born and raised on a dairy farm in Mississippi and spent her teenage years perched on the seat of a tractor raking hay. In those days, her daddy couldn’t afford two cab tractors with air conditioning and a radio, so Pam drove the Allis Chalmers 110. Even when her daddy asked her if she wanted to bale hay, she told him she didn’t mind raking. Raking hay doesn’t take much thought so Pam spent her time working on her tan and making up stories in her head. Now, that’s the kind of life every girl should dream of! 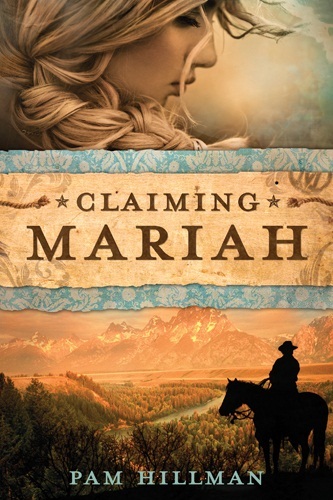 Claiming Mariah is her second novel. With ebook sales rocketing skyward, established publishers, authors and readers alike are taking a second look at electronic publishing. Several factors lend credence to the fact that ebooks are not just a fad, but will be a mainstay in publishing from now on. In May 2011, Amazon reported that sales of ebooks had surpassed print books just four years after unveiling the Kindle. While Amazon isn’t the only game in town, they do command a significant slice of the pie. Barnes & Noble is doing a brisk business selling ebooks for their ereader, the Nook. Contented readers tout the superiority of both devices. A young friend told me she read my debut novel, Stealing Jake, on her iPhone on a road trip. I was very honored that she’d spent her trip reading my book on that tiny device! Young, hip consumers are more apt to grab an iPhone, iPad, Blackberry, Kindle, or Nook when they want something to read. People don’t carry books around with them (well, some of us do! ), but if they have a digital device with them, they’re more likely to actually connect to the internet, download a book and start reading it, than they are to go in search of a print book. Those of us who grew up with stacks and stacks of print books by our beds, on the floor, spilling out of our shelves, still love our print books, but we’re also embracing ebooks as well. Readers, regardless of age, are getting hooked on the fact that they can stuff a Kindle or Nook in their bag on the spur of the moment. These days when I travel, I grab my Kindle and I’m ready to go. I can carry hundreds of books with me, not have to limit my choice to two or three. I have several versions of the Bible, fiction, non-fiction, and games. All at my fingertips and ready to go wherever I go. Elderly readers have the option of reading their books in mega-size font. My husband’s 94 year-old grandmother has read my Kindle and enjoyed the experience very much. It’s easy to adjust the font to whatever size to accommodate her aging eyesight and the learning curve is not difficult at all. With a little ingenuity, a friend in the nursing home with extremely limited motor skills can read her Kindle. Since she can’t hold the device, it’s attached with Velcro to a “pyramid pillow” purchased on Amazon. A ribbon strap holds the pillow in her lap so her Kindle doesn’t slide off into the floor. Free sample chapters and many times offers of free books are exposing readers to new authors, an opportunity that might not have arisen with traditional print books. And instant download capabilities fit right in with today’s drive-thru-want-it-now mentality. From an established author’s standpoint, ebooks are offering an option for breathing new life into old backlists. Fans who missed their favorite authors’ earlier works are grabbing them up as ebooks. In other cases, authors are partnering with their publishers to re-package their backlist as ebooks. And the icing on the ebook cake is when an ebook is offered for free for a limited time. The author gains new readers, and those readers are more likely to purchase that author’s newer releases. It’s a win-win situation all around. (Cliché alert.) I suppose this means we can have our cake and eat it too! Ebooks have given unpublished authors more opportunities to be published than ever before. Yes, right now there are some growing pains, and sometimes it’s hard to separate the wheat from the chaff, but quality will rise to the top, and readers will sort it all out eventually. With established and well-respected publishing houses partnering with unpublished authors with programs like Tyndale’s Digital First Initiative, readers know they’re getting a quality read they can trust. As long as people believe in storytelling, ebooks will continue to rise in popularity. The programming platform and the devices themselves will change, but the fascination of story will draw readers back time and time again. Sherri, I have enjoyed visiting with you and your friends during this joyous season of the year. Merry Christmas and Happy New Year to each and every one! Thank you, Pam, for joining us! Here’s some information on Pam’s new book! January 1st marks the official beginning of Pam’s Blog Tour Blowout to celebrate the release of my latest book from Tyndale House, Claiming Mariah. We’re blowing the doors off the Prize Vault on January 1st so mark your calendars! 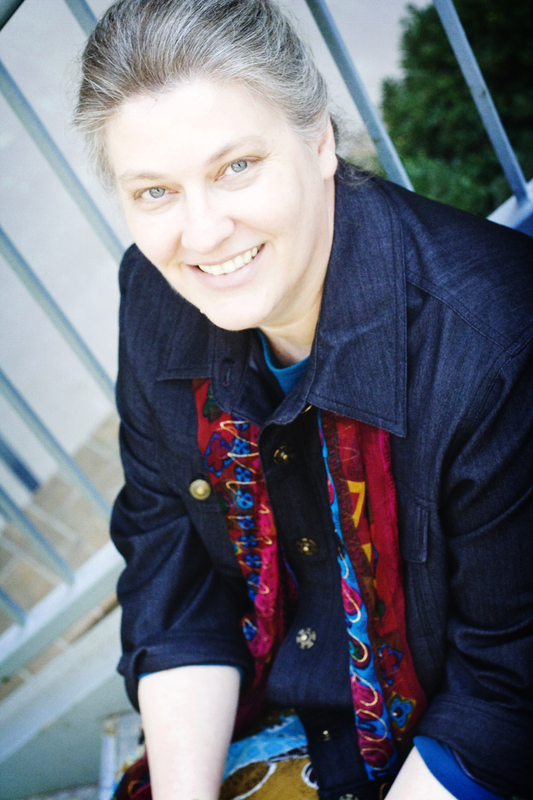 Pam guest blogs for *3* days at Tyndale with a Q&A, an interview, and an article. Whew! What fun! Seekerville rings in the New Year with prizes every hour! If everyone is like me today (and the next several days! ), we’re running in every direction imaginable. But spending time with family and friends experiencing the wonder of the Christmas season can bring so much joy and happiness. We’re having a pizza party at church tomorrow night and all we have to do is bring dessert. I can handle that! lol I’m going to look at all those scrumptious desserts on Pinterest and make something sinfully (oops!) deee-licious! Preferably chocolate! So, if you’re rushing by and don’t have time to comment, God bless you all and Merry Christmas to you and yours! Insightful info about ebooks, Pam! I’ve used my Kindle iPhone app to read in doctors’ offices, riding in the car, etc., when I didn’t have an actual book handy. I also read on a real Kindle (older version with the tiny keyboard). I’ll always enjoy the weight and feel of a real book, but it’s nice to have options. Myra, I still prefer a print copy also. There’s nothing like the smell of the pages and turning those pages when the tension gets high! Thanks for popping in. GREAT interview, Pam and Sherri. No question e-books are here to stay and changing book-reading as we know it!! Can’t wait to read Mariah, Pam!! Thanks for stopping by, Julie!! I still love a print book to read but I’m sure that as soon as I get an eReader I’ll be hooked on eBooks! I agree, Julie. We live in amazing times! Merry Christmas!